With the active support of our team of experts, we are engaged in offering a huge gamut ofVertical Turret Lathe Spindles. Electro Spindle Used For Grinding Application on Vertical Boring Machine, Surface Grinder Tool Post Grinder, Milling, Planer, and Internal Grinding Machine. 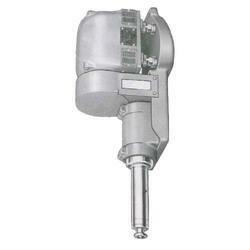 We offer this Grinding Spindles for VTL in line with the international quality standards. Looking for Vertical Turret Lathe Spindles ?